Do you need a professional carpet cleaner in Frankston or Mornington Peninsula? Our Carpet Cleaning service is the cheapest you will find in Frankston and Mornington Peninsula! 3 rooms for $65 or 5 for $100. We only use high quality & non-toxic cleaning chemicals that are safe for the family. Our quick response time & efficiency ensures us to be punctual at your home or office and carpets are dry within 2-3 hours. 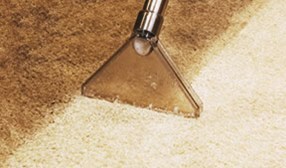 We give you the best results possible by using heavy carpet cleaning machinery & cutting edge cleaning methods. Flooded carpet can sometimes be pulled up, dryed out and re-used. Your carpets will need to be steam cleaned if they've been flooded to get rid of the smell and make them clean again. But it's expensive to have a carpet cleaner to do this and it is often better to just replace the carpets if you can afford it. Couch odours can be stained in the couch so wiping the couch with a cloth or using spray chemicals won't get rid of the smell for long. 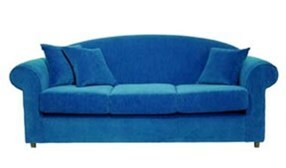 You need to get the steam cleaning right through the couch to get the best results. It's not that expensive to have your couch steam cleaned, so save yourself the hassle and call us today for a quote. "Pat was very helpful over the phone & understood exactly what I needed done." "They were on time, provided excellent results & had some of the best prices I could find in my area. Very happy with the work done."